After the releasing of Vhong Navarro from the hospital due to his medication brought about by the mauling that took place in Deniece Cornejo’s condominium on January 22, 2014, he went to the Department of Justice to file a complaint against Cedric Lee and his group. 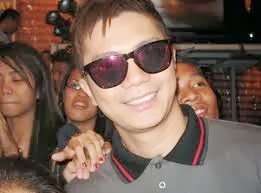 Vhong Navarro was wearing his eyeglasses and in checkered polo and pants when he went to the Department of Justice. The comedian was mobbed by reporters and fans when he went out of the hospital that he needed to be escorted. The escorts were the members of the Philippine National Police. Wearing eyeglasses and his signature checkered polo and pants, Navarro gave brief remarks to reporters who mobbed the comedian as he was led out of the hospital. The “It’s Showtime” host expressed his gratitude towards his fans and all those who prayed for his fast recovery. He is now set to push through with a case filed against Cedric Lee, Deniece Cornejo and the others. Stay stuck on this site for more news about the case. Be updated on this case in our future post here.